OMAP Noisy NTSC/PAL Video Issues. After creating a test schematic in Linear Tech’s LT Spice IV then running some analysis on it, this gave some indication of where the trouble might be. 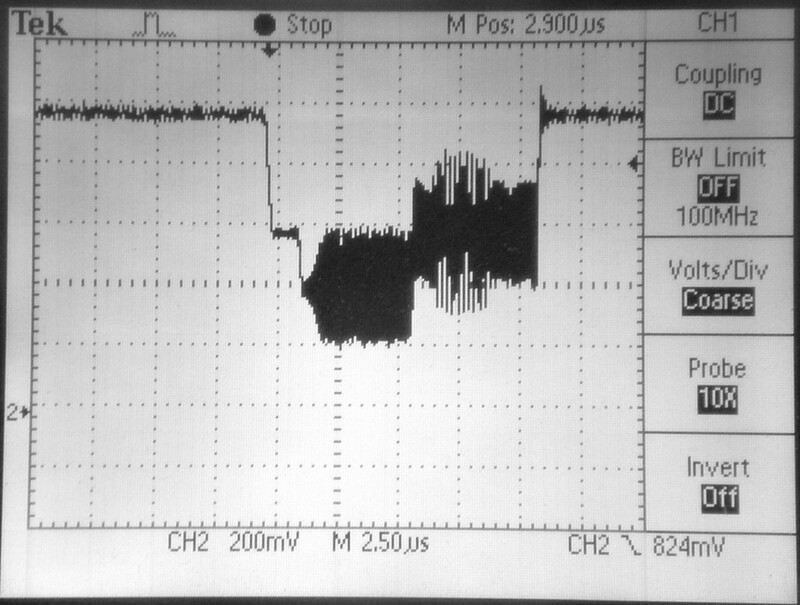 As shown in the plot below the pole in the resonant circuit was around 12.7MHz, whereas the parasitics were between 16MHz to 19.3MHz. After manipulating the values of R75 and C144 shown in the schematic above the pole in the response of the network moved out to about 20MHz. 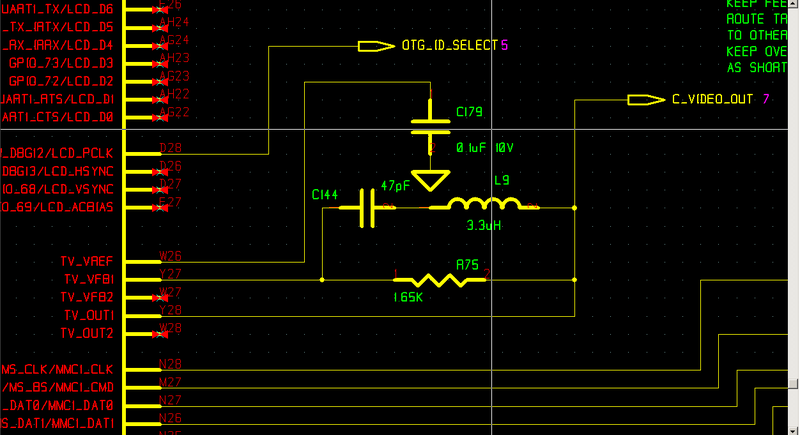 After doing the plots and determining the component values it was time to modify the board. Spice Plot of Feedback Network, new values. 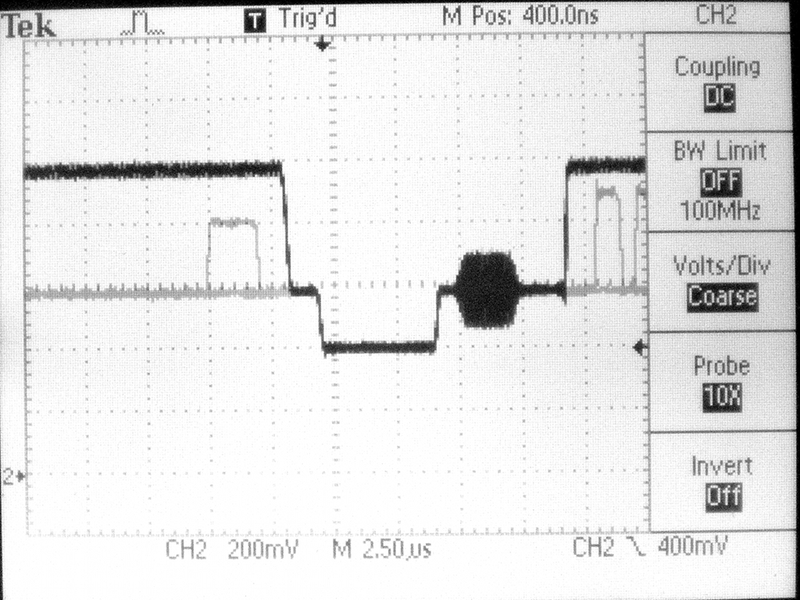 The TI Technical Reference Manual for the OMAP processor mentions that the output amplitude of the peak to peak video signal is low, but they claim this is ok. I beg to differ. Indeed it is about 600mV to 700mV peak to peak, whereas NTSC video, sync tip to peak white, is 1.0Vpp. Some TV’s can probably work with this for sure, but my Panasonic plasma display would not lock up to it. I could see stuff parading across the screen but it always complained that there was no signal on the analog input. So beware. NTSC composite output is probably of little value anyway these days, except if you have a system like the Orion that has no other video display method. But for this product video output is not a primary use case, so the video quality (or lack thereof) isn’t a show stopping concern. This entry was written by admin, posted on April 5, 2012 at 3:28 PM, filed under Case Studies. Bookmark the permalink. Follow any comments here with the RSS feed for this post. Both comments and trackbacks are currently closed.